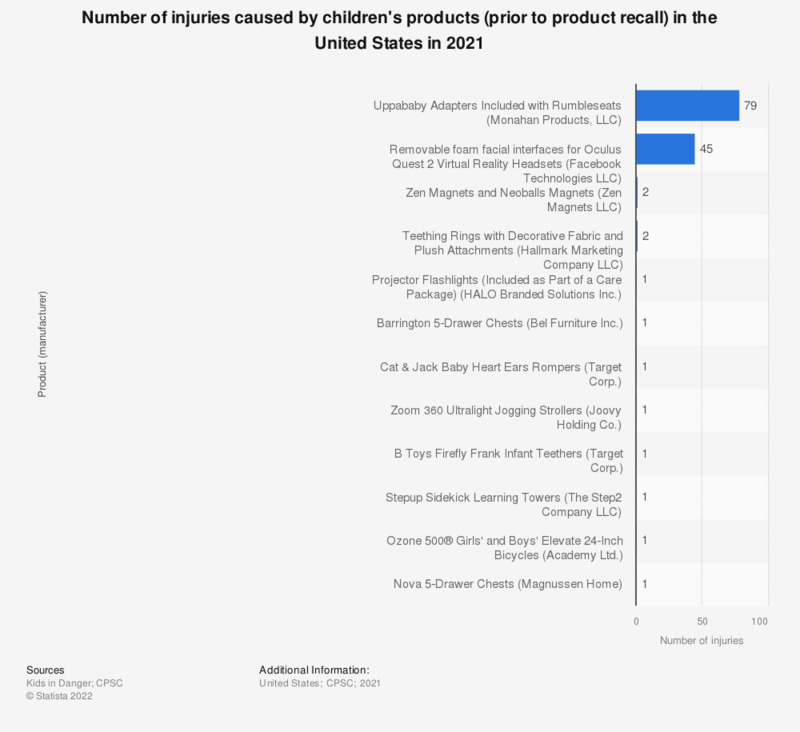 The statistic depicts the number of injuries caused by children's products (prior to product recall) in the United States in 2018. In that year, 7 injuries were caused by children's nursery products prior to recall. * A children's product is defined as any product designed or intended for the care of or use by children. Products that pose potential dangers to children but that are not intended for their use, such as cigarette lighters with faulty child resistance locks and window blinds, are not counted as children's products.